Twenty years ago, Atlantic Canada was seen as an economically troubled part of Canada. Its resource economies were weak, and it lagged behind the rest of the country in job creation and growth. Since then, the region has risen to become one of the nation’s economic leaders. The manufacturing jobs the region has lost have been replaced by jobs able to withstand the economic pressures that caused the downturn in the first place. The development of Hibernia oil, the growth of other commodity sectors, and an influx of high-tech jobs have reduced unemployment and created opportunities for growth in many centres, and the apartment market has responded in kind. The population of major centres such as Moncton, St. John and Fredericton in New Brunswick, Charlottetown in Prince Edward Island and St. John’s in Newfoundland have all increased in the past decade, and at least 1,379 units have been added to the universe or will be added in the near future. Everywhere, average rents are rising. While the rest of Atlantic Canada is showing strength in new apartment construction, the marketplace in and around the city of Halifax has topped these gains. As the region’s largest centre, Halifax’s economy is leading Atlantic Canada in growth. Halifax is a provincial capital, a centre for military operations on Canada’s east coast as well as the financial centre for Atlantic Canada with expanding investment banking and ICT sectors. This combined with being a major health care centre has given Halifax a base of jobs that has allowed it to avoid the worst of the 2008 recession. Unemployment is down, and the local population is rising. Halifax’s vacancy rates have remained steady, and average rents are increasing. Of all the major centres in Atlantic Canada, Halifax had the highest median after-tax household income. The growing and diversifying economy has produced a growing demand for high-end, condominium-style apartments. This trend has been boosted by demographic changes that have produced a large number of empty-nesters looking to downsize from their single-family homes. Halifax’s apartment market has responded with considerable growth. In many ways, it is a mirror to Vancouver’s real-estate market. Whereas the bulk of Vancouver’s high-rise construction has been in condominium stock, Canada Mortgage and Housing Corporation estimates that as many as 90% of new construction starts in Halifax over the past few years have been for rental accommodation over condominium housing. The heated market has raised land prices, giving developers a strong incentive to build concrete buildings, maximizing height and density. Halifax represents a larger apartment universe than the rest of Atlantic Canada combined. This activity has not been limited just to Halifax city proper but has benefitted Dartmouth across the harbour. While Halifax’s strong economic growth has largely been the result of a diversifying economy, one of the city’s core businesses has also received a considerable boost. Halifax beat out competitors from British Columbia and Quebec for a $25 billion shipbuilding contract from the federal government. The Irvine shipbuilding contract is expected to support 8,500 jobs per year and should bolster the local economy, as well as the economy of all of Atlantic Canada, for years to come. Although Halifax is home to six well-established universities and colleges with a total student population of over 30,000, student housing has not been part of the construction boom in Halifax in the past decade (and most students could not afford the rents being charged by most of the new apartments that have been built). Student housing has had greater influence in some of the new construction taking place in Charlottetown, Fredericton, Moncton, Saint John and St. John’s. Atlantic Canada has much to offer developers in new construction. This is especially the case in Halifax where the economy is strong and diverse and looks to remain so for the foreseeable future. WHILE THE REST OF ATLANTIC CANADA IS SHOWING STRENGTH IN NEW APARTMENT CONSTRUCTION, THE MARKETPLACE IN AND AROUND THE CITY OF HALIFAX HAS TOPPED THESE GAINS. 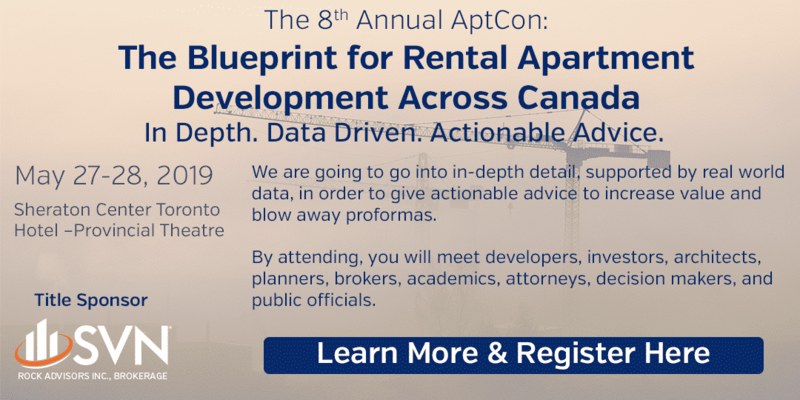 Canada Mortgage and Housing Corporation estimates that as many as 90% of new construction starts in Halifax over the past few years have been for rental accommodation over condominium housing.